In 1994, when Sleater-Kinney arrived on the scene, grunge/alternative rock had, for the most part, seen its swift yet potent “golden age” come and go. With the doors flung wide open, radio-friendly imitators were swarming in in droves, much to the disdain of early fans, yet simultaneously to the immense satisfaction of label heads and radio programmers. Yes, the mid-to-late-90s made weird with the “rawk” as it packaged it into more and more consumer-friendly parcels. 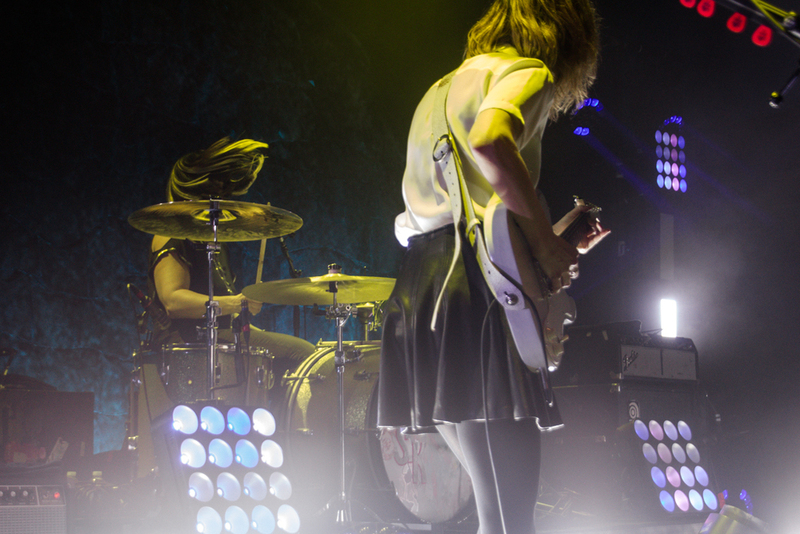 But rock ‘n roll can never truly die, so it was up to bands like Sleater-Kinney to do what any good rock and roller would do: Get weirder. 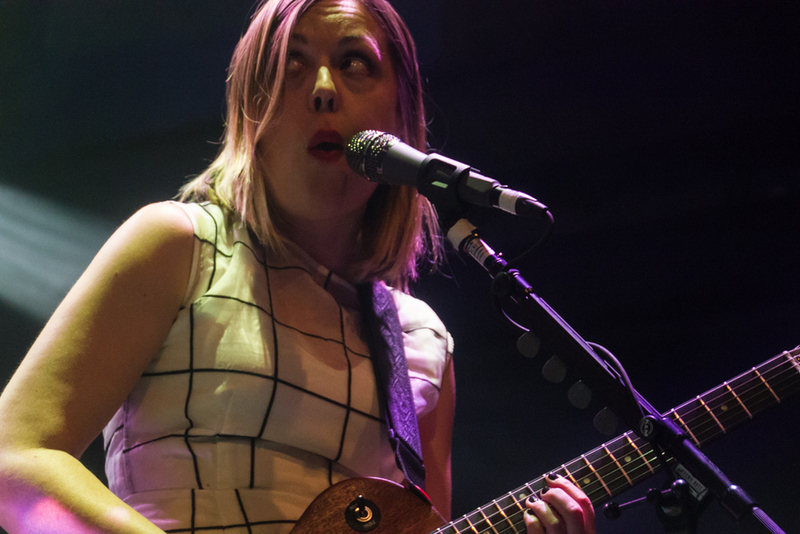 Corin Tucker’s howling vocals paired with Carrie Brownstein’s jagged, punk-infused guitar work and Janet Weiss’s thundering beats behind the kit made you sit up and take notice. Its in-your-face abrasiveness instantly turned on a legion of devoted fans, and over the course of ten years and seven albums that ranged stylistically from scorching angular punk (Call The Doctor) to full-on psychedelic freakout (The Woods), the trio carved out some arguably uncharted territory in the music world by simply being themselves and making the music that made sense to them. And then, they went away. But this Tuesday, a full 10 years after taking their final bow, the trio returned to the stage at the 9:30 Club for the first of two completely-packed-to-the-gills, sold-out nights, and the faithful finally gathered again to see their favorite band -- some say one of the best bands of all time -- begin the latest chapter of their career. 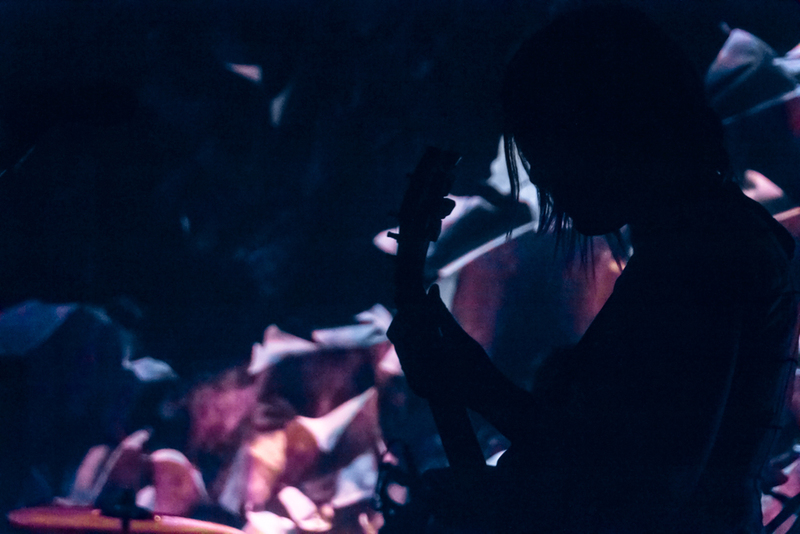 Their recent album, No Cities To Love, received generally high praise despite its sonic shift toward a more polished, almost pop at times, sound, and as expected the set leaned heavily on tracks from that record. Songs like opener “Price Tag,” “Bury Our Friends,” and the alt-rock-radio hit-in-waiting title track played fine with the smattering of choice cuts from the albums that built the band’s legacy. “Start Together,” “One Beat,” and a positively kinetic “Jumpers” from 2005’s The Woods rocked the crowd righteously. 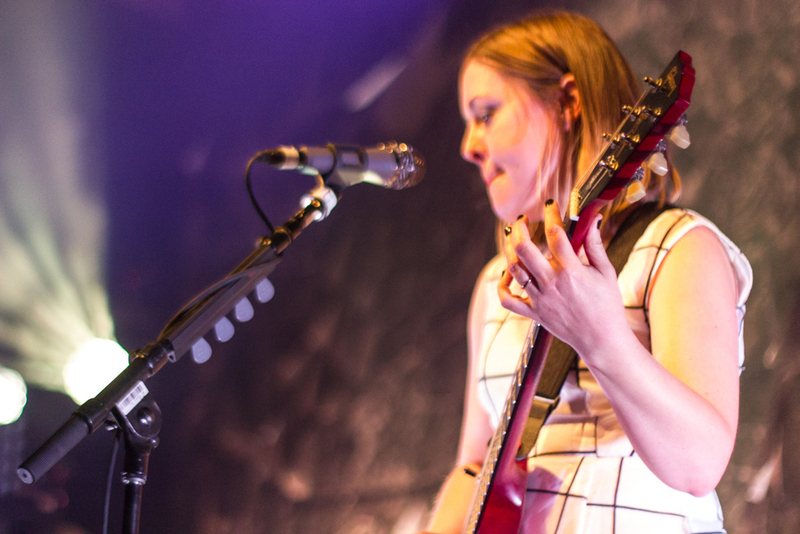 But it wasn’t until singer/guitarist Corin Tucker traded the guitar for a mic late in the set to sing Cities track “Gimme Love” that the band really connected with the audience on the visceral level one would expect from a band so universally lauded and adored. While the crowd was rocked to a degree that even casual, non-superfan listeners would attest to having witnessed a mighty fine rock show, it did not manage to fully escape the trappings of “reunion-itis” from which so many bands mounting a comeback often suffer. 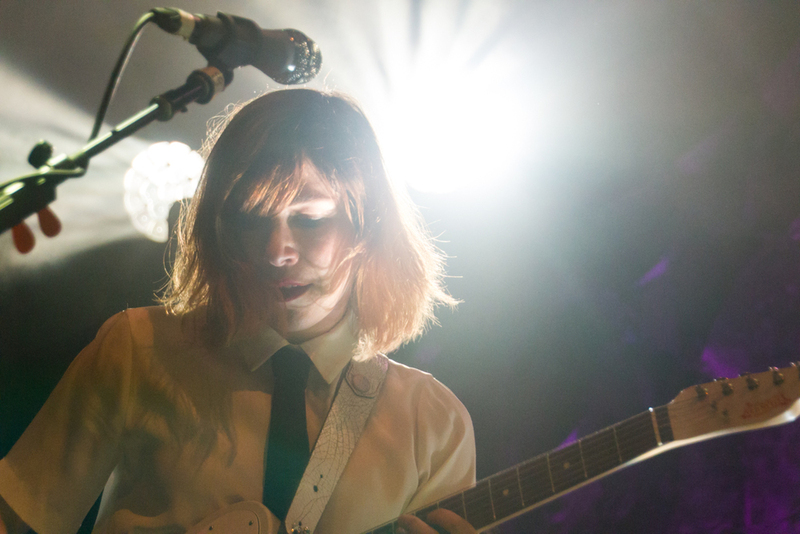 In the time since the last record, things have gone pretty well for the members of Sleater-Kinney, and such is life. 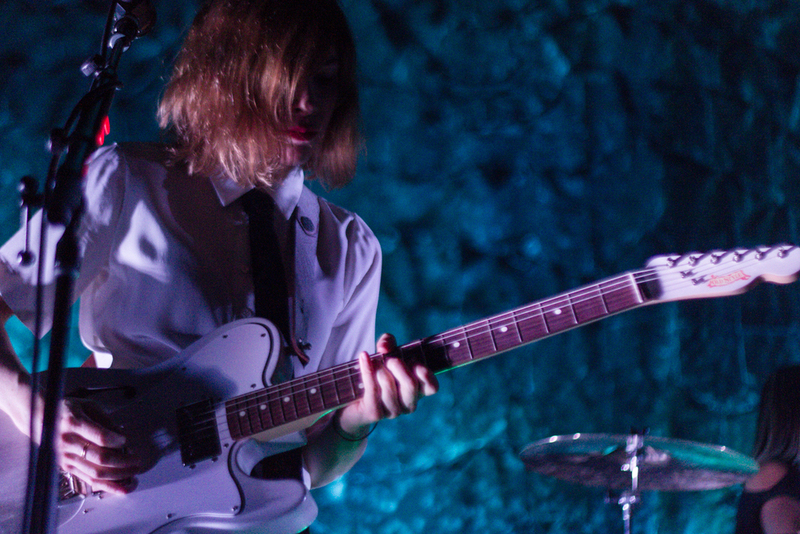 It’s safe to say that if you never saw Sleater-Kinney “back in the day,” then you never will. The hunger, the social context, the struggle -- it’s all largely been replaced by talent, seasoning, and rock star acumen. Which is not to say that the band’s politics and or activism need be diminished in any way. What it does mean though is that all of the heat and sweat – everything that makes rock and roll its MOST vital – may be drawn down a bit. 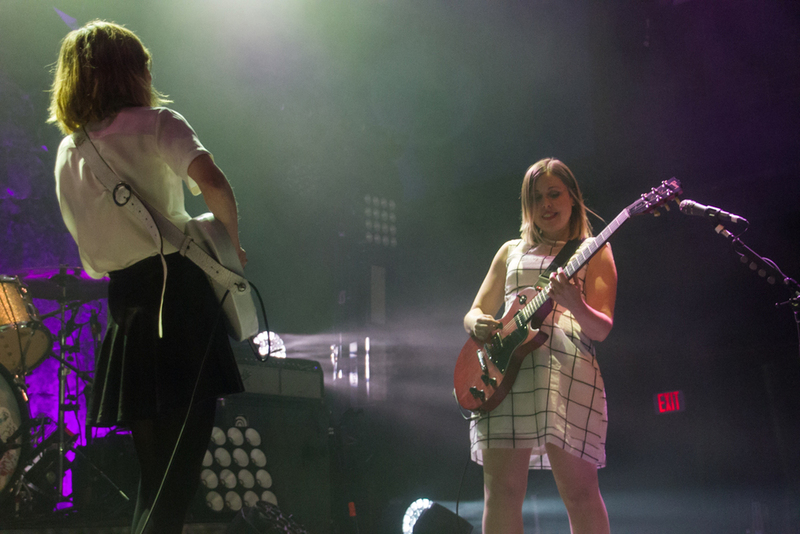 People love their bands, and people have their heroes, and Sleater-Kinney are most definitely one for the masses. But these days, and from this band, a chorus like “We win. We lose. Only together do we break the rules,” from Cities track “Surface Envy,” comes across more like ready-made moments of stadium-worthy anthemic sprawl than earnest rallying cries. There’s an art to making good rock and roll. 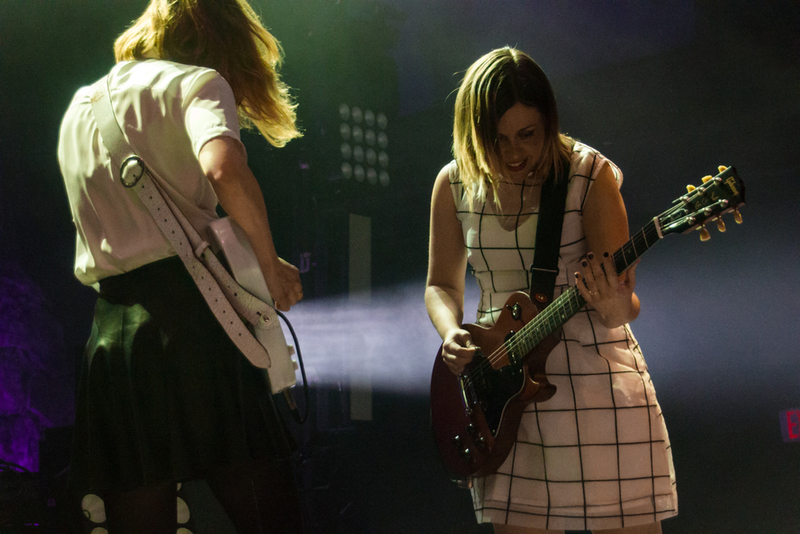 The hooks, the riffs, the cymbal crashes that bring one thousand, ten thousand, a hundred thousand people up out of their seats to scream along in unison is not easy work, and at this stage Sleater-Kinney have clearly mastered the art. But the work never feels necessarily dangerous. It’s sonic comfort food. Familiar sounds that remind of us of different days. And again, there’s nothing wrong with that, because rest assured that even if -- and this is a hypothetical “if” -- Sleater-Kinney, or any band, has lost that razor-sharp edge that built their legacy, they have influenced hundreds, even thousands more, who are ready, willing and able to pick up that spirit right where they left off. All photos by Kevin Hill. Click to embiggen. Older PostWolf Alice - "Giant Peach"